XUZHOU, CHINA (AFP) - Workers wielding screeching hand-held wood sanders toil overtime in Cheng Huaibao's bunk bed factory, rushing to prepare for the wave of orders about to break on manufacturing businesses like his across China. China's Nov 11 e-shopping extravaganza strikes on Saturday, with hundreds of millions of consumers expected to seize on promotional discounts to place up to a billion pent-up orders for everything from food to furniture and electronics. So-called "Double 11", or "Singles Day", is the biggest day of the year for Cheng, accounting for around one-sixth of his annual orders and illustrating the impact that China's years-long e-commerce boom is having right down to some of the country's poorest villages. Cheng's town of Shaji in eastern Jiangsu province once relied on farming and, later, processing waste plastic. 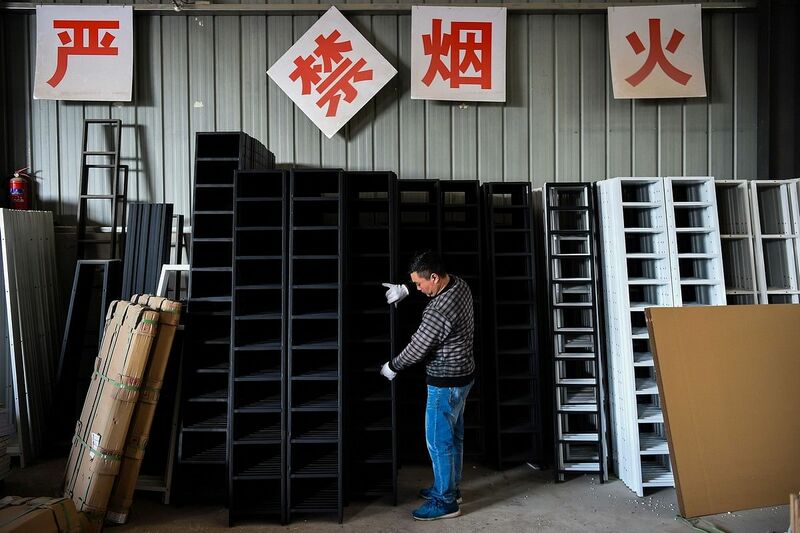 Today, furniture production fattens wallets in Shaji, one of more than 1,300 communities across China dubbed "Taobao Villages", areas that re-invented themselves as manufacturing bases to supply e-commerce giant Alibaba's Taobao platform. "It's a new way for people here to make more money and get rich. It has really changed people's fates," said Cheng, 28. The high-school graduate previously worked in an electronics factory and later sold home appliances. In 2010, he scraped together 2,000 yuan (S$400) and began making children's bunk beds to sell on Taobao. It was a propitious choice - in 2016 China relaxed its "one-child policy" to allow families a second child. Bunk beds are suddenly hot. Cheng says his business is now worth 20 million yuan. He has purchased several homes and parks his Mercedes-Benz and Audi outside a factory that's grown to 2,323 sq m and 200 employees. "I'm driving a one-million-yuan car. I never dared to dream of such a day before," he said. Alibaba seized on Double 11 beginning in 2009 as China's online answer to the late-November US "Black Friday" shopping spree, finding a sweet spot combining China's love of a good bargain and the national addiction to smartphones and one-click payments. Alibaba says Double 11-related sales last year reached US$17.8 billion (S$24.2 billion) in gross merchandise value, up 32 per cent from 2015 and roughly equal to the annual GDP of Mozambique. This year's shopping fest will put an exclamation mark on Alibaba's growing dominance of commerce in China under boss Jack Ma, one of China's richest men. The company's stock has doubled this year as revenues surged. It recently passed Amazon to reclaim the crown as the world's most valuable e-commerce company. It is investing heavily in creating an entire user ecosystem encompassing cloud computing, artificial intelligence, automated stores using face-recognition, financial systems, logistics, data, entertainment, and is pushing into overseas markets. Ma also is touting his latest pet vision, "new retail" - linking up e-commerce with traditional brick-and-mortar stores as a hedge against a future slowdown in e-commerce growth. Ma said recently the number of packages processed by China's logistics industry - fuelled by e-commerce - will soon reach 100 million per day. "Ten years from now, we may be faced with one billion packages per day," he added. But environmentalists complain of the ecological harm and accuse Alibaba of fuelling over-production and over-consumption. Greenpeace estimates Double 11 deliveries last year produced 130,000 tonnes of packaging waste - less than 10 percent of which is recycled - and said e-commerce is actually more carbon-intensive than brick-and-mortar shopping. "Singles Day is a disaster for the environment. Alibaba isn't doing nearly enough," said Greenpeace East Asia toxics campaigner Nie Li. Li Chengdong, a Beijing-based independent e-commerce analyst, said that despite appearances, Alibaba's future is uncertain due to tough competition from Chinese rivals like JD.com in e-commerce, and from Tencent in content and online payments, and that e-shopping's growth will slow. "Alibaba will definitely speed up its overseas expansions. Domestic competition is too fierce," Li said. "Taobao played a big role in alleviating poverty in the countryside, that's true. But some Taobao villages are not doing as well as before due to competition." Alibaba estimates "Taobao Villages" nearly doubled in 2016 from the previous year to 1,311, home to more than 300,000 online shops. 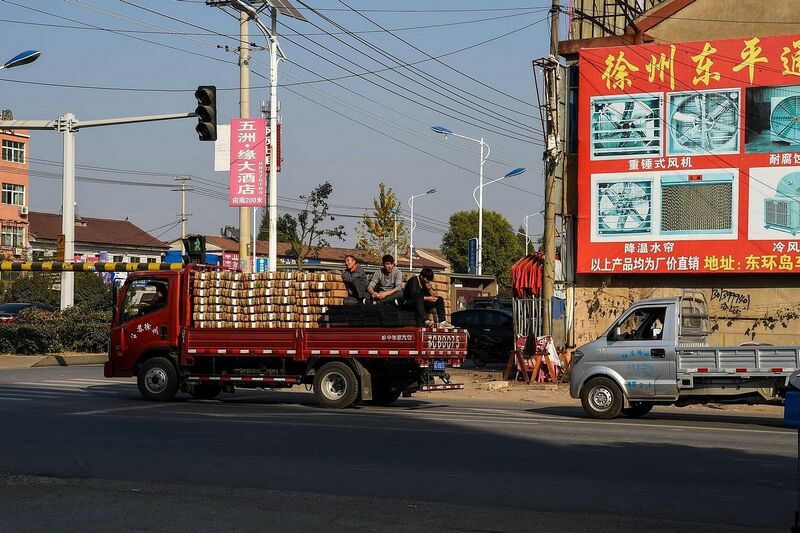 Shaji, an otherwise nondescript town of around 60,000 people, is dominated by warehouses and factories geared toward Taobao or companies selling packaging. The town runs on a unique rhythm, with the streets deserted through much of the day as production is prioritised, followed by a burst of road traffic as shipments flood out. Cheng admits his margins are shrinking, and that Double 11 does not even actually make him much money due to the cut-throat pricing and growing competition, but he remains upbeat. "Even though we are under pressure from more merchants, we think there also are more customers now," he said. "The road ahead remains long and I'm taking it step-by-step."